This Alien Video Is Captivating The Internet, But Is It Real? UFO sightings and viral videos supposedly showing evidence of extraterrestrials have the Internet abuzz. According to the National UFO Reporting Center, the number of unexplained “ET type” incidents have been rising steadily since the 1990s. In 2014 alone, for example, there were 8,619 alleged alien disks or crafts spotted across the world. Those figures have decreased somewhat in the last couple of years. But hardly a day goes by when some blurry imagery captured by a cell phone isn’t attracting tons of interest on social media. Some of the videos are genuinely compelling, but there’s a lot out there that seems like it was filmed by hoaxsters. How can you tell what’s real and what’s dubious? Believe it or not, some time ago the CIA put out guidelines on how to photograph, document and investigate alleged UFO activity. These tips were meant to help photographers capture useful images (as well as help investigators weed out false positives). Let’s examine some recent viral alien videos in the light of these guidelines to help determine which ones are credible and which are not. 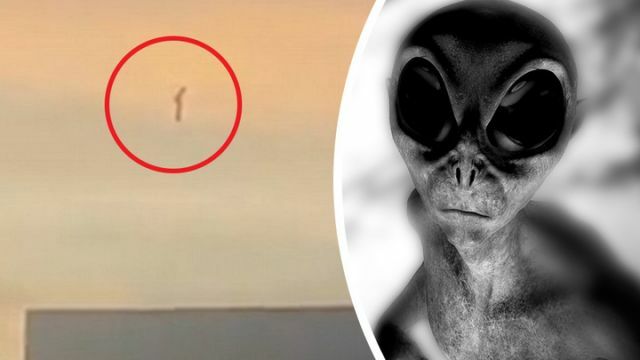 This video (below) was shot over the city of Mexicali in Baja California (Mexico) reportedly shows a “humanoid UFO” streaking across a reddish sky. It is being described as the first big ET sighting of 2018, but skeptics are claiming that it appears like a helium balloon designed to look a lot like a Star Wars stormtrooper. You can judge for yourself (below) whether the footage is convincing. According to the CIA’s tips, however, it’s important to rule out alternative explanations. Here, there’s at least a high probability that what is being filmed is a weather balloon, a prankish inflatable or other man-made objects. The CIA handbook on UFOs notes that a majority of sightings usually end up being attributed to a known phenomenon. For example, during WWII many allied pilots in the Far East reported seeing mysterious balls of fire along their flight path. Later it was revealed that these “unidentified flying objects” were, in fact, electrostatic phenomena similar to St. Elmo’s fire. A far more compelling video, I believe, is one released recently by the Defense Department, which captures an encounter two Navy pilots witnessed in 2004. As you can see for yourself, the images are grainy and far from definitive, but the footage has a lot more credibility because the eyewitness who recorded it was a highly trained aeronautical professional. It was part of his job to recognize and categorize aerial phenomena. In addition, he presumably he has little incentive to jeopardize his career or reputation by claiming to have seen a UFO. According to the CIA guidelines, it is important to weigh ET claims by consulting experts while also examining the witness documentation. As you can see from the video with Commander David Fravor, that he gives every indication of having carefully documented his experience and that this encounter has been investigated by credentialed experts. You can judge for yourself, which videos you find convincing. Too often, people do not apply objective criteria to the phenomena they are studying. As a result, people often see what they want to see. For example, when supposed alien images are blurry or fuzzy, people often report seeing faces. The phenomenon is so common that experts refer to it as pareidolia. By the way, you can check out the declassified CIA guidelines for investigating UFOs by clicking here. Hey Buddy!, I found this information for you: "This Alien Video Is Captivating The Internet, But Is It Real?". Here is the website link: https://www.thealternativedaily.com/alien-videos-captivating-internet-but-what-is-real/. Thank you.